Private companies that follow U.S. Generally Accepted Accounting Principles (GAAP) must implement new revenue recognition rules in fiscal years that start after December 15, 2018. Are your accounting systems and personnel ready for this fundamental shift in financial reporting? The effects will likely be more far-reaching than expected, based on feedback from public companies that implemented the changes in 2018. Accounting Standards Update (ASU) No. 2014-09, Revenue From Contracts With Customers, ushered in a fundamental change to how companies report one of the most important indicators of their financial performance. Public companies adopted the standard for fiscal years starting after December 15, 2017. Private companies were given a one-year reprieve. Under prior rules, GAAP provided complex, detailed and disparate revenue recognition requirements, causing different industries to use different accounting for economically similar transactions. The updated standard replaces most of the industry-specific revenue guidance developed prior to 2014 with a single, principles-based model by which most companies must report the top line in their income statements. The updated standard doesn't change the underlying economics of a business transaction or when a customer pays for a good or service. Rather, the new rules can change the timing of when a business is able to record the receipts from a customer. Depending on the line of business, this could mean earlier or later recognition of revenues compared to current practices. Though some entities won't notice a significant change on their income statements, virtually everyone will be affected by the standard's expanded disclosure requirements. The new guidance calls for more disclosures about the nature, amount, timing and uncertainty of revenue that's recognized. Unfortunately, some private companies still aren't up-to-speed with the new rules. Too often, smaller companies underestimate the amount of work involved with implementing the standard — or mistakenly presume that the changes apply to only public companies and large private entities. Even if the changes will have a minimal impact on your company's bottom line, it's critical to evaluate controls and policies for estimating revenue before year end. One solid reason to onboard the changes as soon as possible is to forewarn your lenders about changes to the timing of revenue recognition that could affect the company's loan covenants. In turn, such proactive measures may help persuade lenders to waive loan covenant violations and ensure that access to credit isn't disrupted. For example, if revenue recognition is delayed by the standard, managers and salespeople who must wait longer to receive part of their compensation won't be happy. Conversely, if revenue recognition is accelerated by the standard, commissions and bonuses tied to revenue recognition must be paid sooner, possibly causing small employers to incur cash flow shortages. 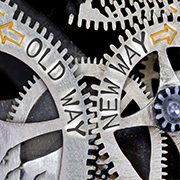 Don't underestimate the scope of change under the Accounting Standards Update. If your company hasn't yet started implementing the new revenue recognition guidance, contact us to ensure a smooth transition and anticipate any adverse side effects.